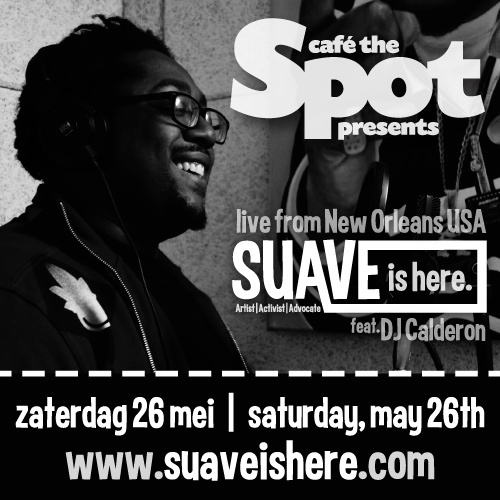 Posted on 05/11/2012, in Funk, Hip Hop, Live Shows, Soul and tagged Cafe the Spot, Den Helder, DJ Calderon, Holland, Suave, The Netherlands. Bookmark the permalink. Leave a comment.